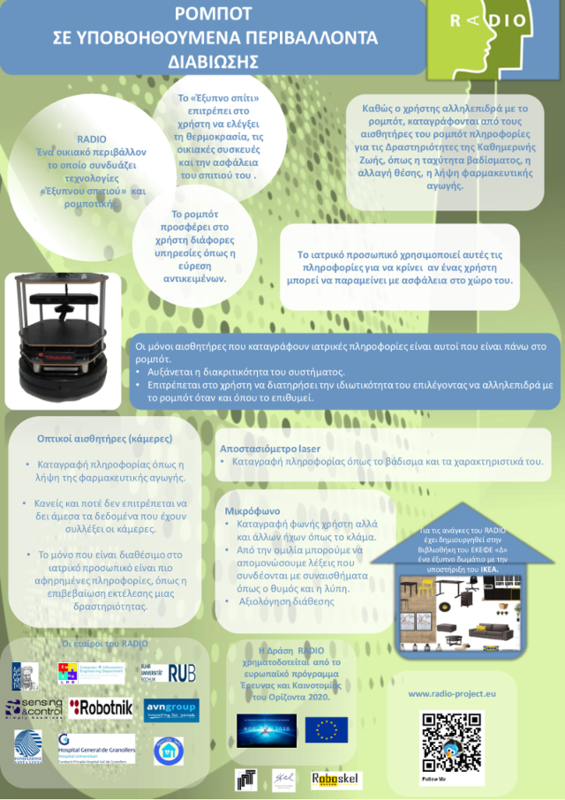 A poster provided general information about the RADIO action, while our team conducted live demonstrations of how Joe the RADIO robot monitors activities of daily living (ADL). The main point of the demonstrations was that remote clinical monitoring does not necessarily equate to providing visual content to the care-giver, and that it is technically possible to automatically extract and provide only abstract information. During the demonstration, we first showed how we monitor walking speed: we asked visitors to walk in front of Joe and observe on screen their walking patterns as extracted from the scanner signal. We then explained how also vision-based ADLs can be monitored without providing raw video. In the demo, we asked people to stand in front of a camera in order to identify the colour of their shirts. 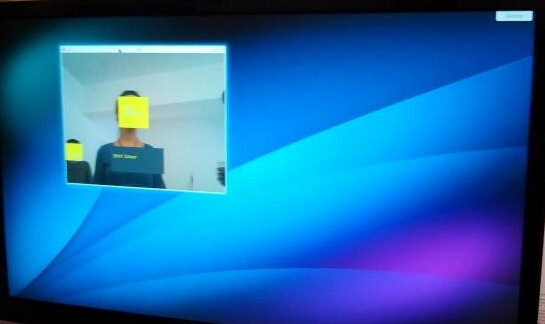 Once the person stood in front of the camera, the screen showed how our method located their shirt in the image and was able to show a coloured box rather than the actual image. This is sufficient information for extracting clothes changing patterns, and the actual images can be discarded. To measure the impact of our demo we used a structured questionnaire that recorded the public’s opinion about clinical monitoring in general and as done using RADIO technologies. Ninety-eight (98) of our visitors agreed to fill in the questionnaire. 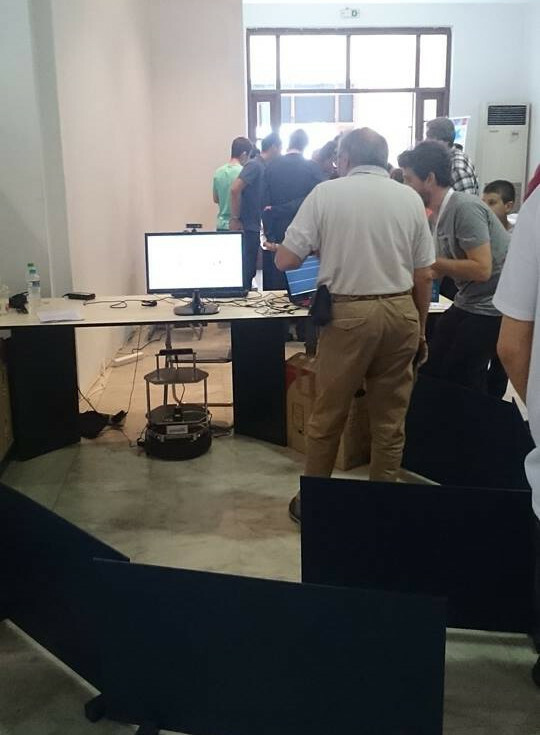 We will come back with details about the results of this but here is a first spoiler: The vast majority of participants reacted positively to the demonstration, finding RADIO technologies more acceptable than CCTV monitoring in the context of assisted living environments for elderly people. Here are some comments people gave us!